We are professional manufacturer of food . We have many years experience in this industry. 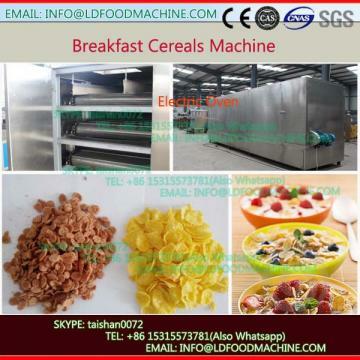 Our machinery has been exported many countries,like Russia,German,Ukraine,South Africa, they have obtained much praise for their reliability and full automatic from our clients.Corn flakes can be flavored with sugar,honey,coco and cheese,etc.Corn flakes are a popular breakfast cereal manufactured by twin-screw extruder through the treatment of corn flakes of grain, served with milk and marshmallows, were a very popular food among the families. 2)It is fast and nourishing food with given structure,such as granule shape,flake shape and animal shape. 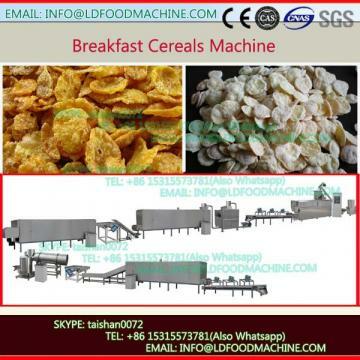 3)For the cornflakes processing line, different process get different snacks,and different taste. 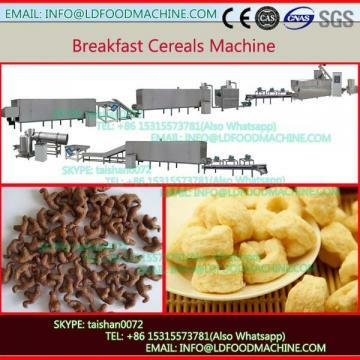 This line can be used to produce corn flakes, breakfast cereals, snacks by adjusting the dies from extruder. Kinds of cereals, such as: corn flour, rice flour, corn grits, millet and so on. 2. When we received your deposit of this order, we will ask our engineers to prepare to apply the visa, when the corn flakes processing line arrived your country, and we will send two engineers to go and help you to install the corn flakes line, teach your worker(3-4 workers) how to operate the corn flakes line, until your worker know the corn flakes line well.